One of the things I love about the new term “solopreneur”, is that it describes what so many of us do, in a much more real way, than the word, “entrepreneur”. A solopreneur is someone who takes a passion and works that passion from the ground up without necessarily wanting to merge into the corporate world. Gwendolyn Palmer-Mann is the personification of a solopreneur. She is taking a passion, and something she obviously does extremely well, and birthing that baby into a business. Palmer-Mann’s handmade purses are diverse, varied in color, prints, and styles, and each purse has a personality all its own. It’s true! Every time I see a new addition to her ever growing and evolving collection, I think, “that’s me!” Then I think, wait, no, that one is really me! The fact is, there is a purse in her collection for every type of person, and every personality within YOU. Gwendolyn’s purses and handbags represent the “every woman”. The woman who likes to change her style to suit her moods. And I believe that includes most of us. From purses that seem inspired by fabulous designer dresses and red carpet gowns, to the boho-style, 21st century hippie girl; Palmer-Mann’s purses have got it going on. Because goddesses in-the-know, know that fashion is not just something we adorn ourselves with, it is art and self-expression. New brands like Palmer-Mann and her G.A.C. Kreations, are no different than when Chanel or Prada first got started. All of these brands come from the soul of the artist and creator, and we get to share in their vision. Isn’t that amazing? Located in sunny Florida, Gwendolyn Palmer-Mann and her mother Roscella Palmer, are working hard on social media to get this wonderful and unique brand into the public’s awareness. There could not be a better time to be offering a product so beautiful, with such a personal touch, as right now, when sites like Etsy, have moved huge mega sites like Amazon, to create their own handmade products websites. Personally, when I spend money these days, I most often spend it with real people, like you see on on our blog. There are many consumers who feel this way. They want something with intrinsic value, not just monetary value, and Gwendolyn Palmer-Mann totally gets that idea. 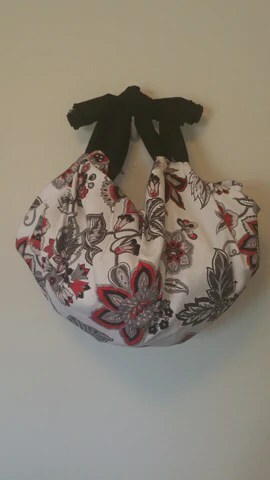 You can connect with this lovely purse Creatrix, Gwendolyn Palmer-Mann and G.A.C.Kreations on Facebook here, and check out her expanding catalogue of purses on Shopify! So how ya feelin’ today ladies, a little “Molly“? or a little more like “Dazzling Dazy”?